The timeless and simple design of the Plan Toys Wagon takes inspiration from the sturdy wooden wagons our grandparents used to cart their teddies and dollies around in. Strong wheels with rubber grips and a perfectly-balanced body means this wagon is easy to pull and won’t cause any unforeseen accidents. 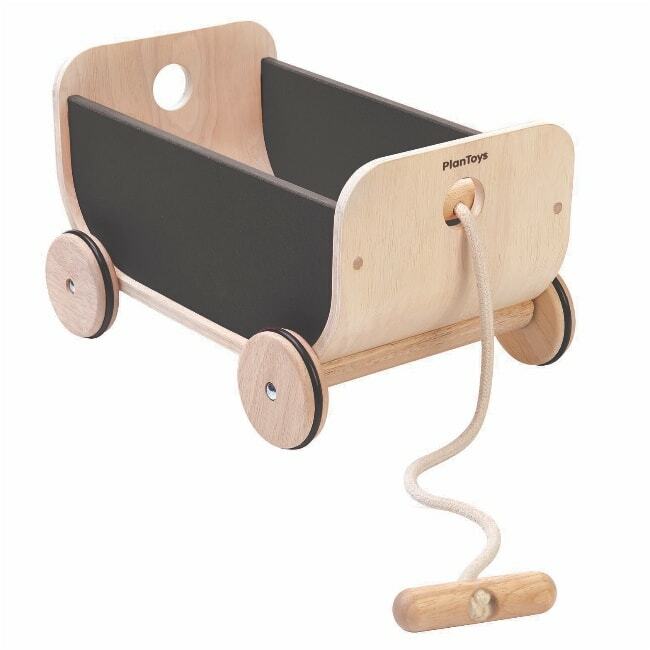 Made from sustainable rubber wood, the round hole at the back can be used as a handle for little hands to carry the truck, or to attach more wagons with rope to create a train.